With 2015 behind us, and the new year already under way, it is time for the traditional year-in-review articles, and I don’t see any reason for us to avoid the trend. I went to Twitter to ask about what to tackle first, and the media overview won over a Kickstarter post (probably due to my recent article on GI.biz satisfying the need for the time being, but don’t worry, a Kickstarter related article will happen too). As usual, if you are not familiar with the way the data is collected, I invite you to read the blog post on the topic. As a reminder, we mostly look at the top games for every single month. While this is not ideal, at least it provides some insights on what the top topics in the media are. I have selected a few games to look at in more detail to help give some sense of scale. 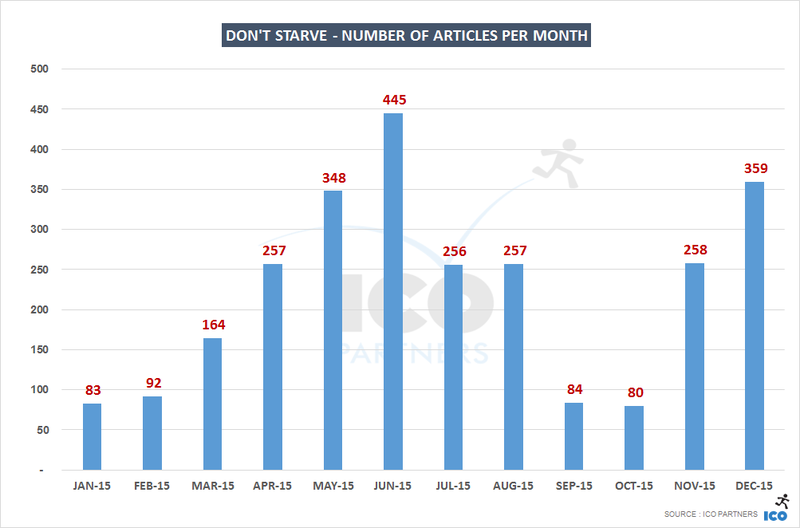 First thing, please note the scale starts at 20,000 articles over the whole year. It is a bit deceiving, but it does make the chart easier to read. The Witcher 3. An action RPG, historically a PC franchise, from a smaller publisher (smaller doesn’t mean small though) and that got a fantastic amount of coverage which I believe is mostly because of how good it is and how much its audience wanted to read about it. CD Project also managed the communication on the title very well, including after launch and with a strong and clever DLC strategy. Fallout 4. I have talked a lot about Fallout 4 in the past already. The game got a huge amount of coverage, but is not the first on the list only because it was announced until we were already 5 months into the year. Grand Theft Auto V. A game launched released in 2013, but the franchise is strong in the family (should have kept that one for the next game in the list, but hey). If you look at the key events for this game in the year, it was mostly the PC release. For a strong console franchise this is not considered key, but it seems there is a never-ending interest for the GTA games in the media. Next in the line is Star Wars Battlefront, which did significantly well in terms of coverage. However, considering this is the comeback of a beloved name, a Star Wars game released close to the 7th Episode of the movie saga, and the Battlefield/DICE FPS of the holidays, it came to be expected that it would do well with the media. 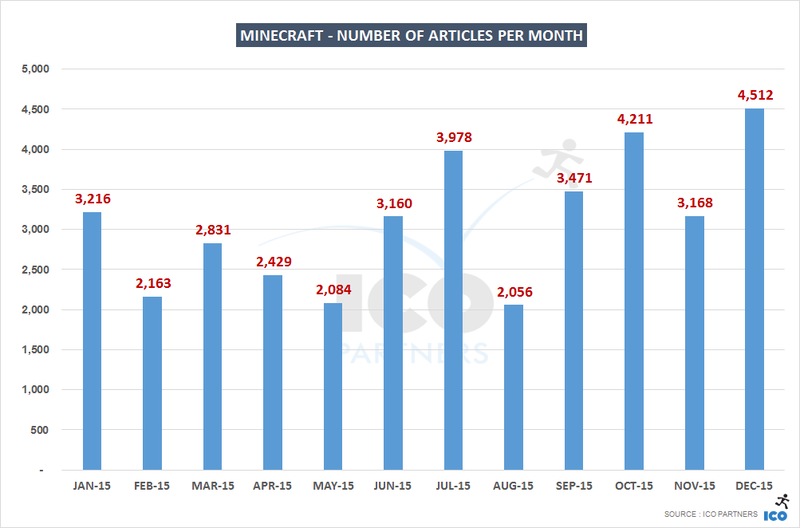 Minecraft is a regular performer in the monthly media performance overview, and it is a game that is incredibly steady (few spikes, but few lows) and expected to be in this ranking. League of Legends, though, is rarely in the monthly Top 15 games, but is incredibly steady in the amount of media coverage it gets. 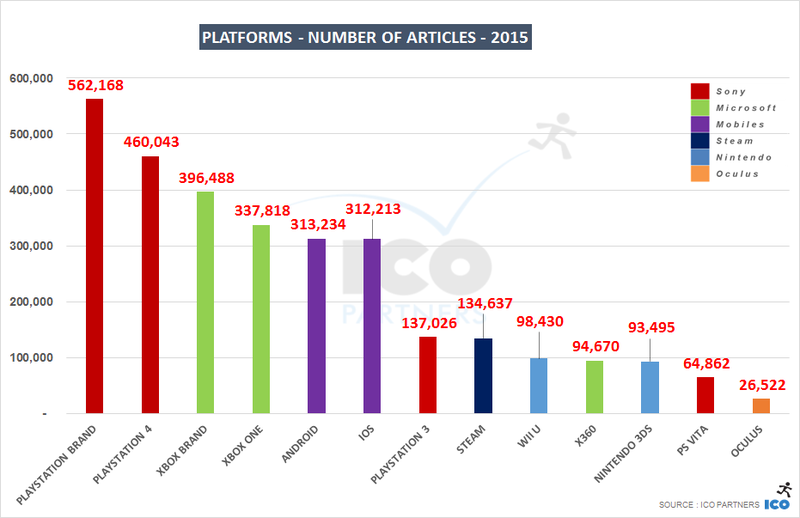 While I expected the game to have a wider reach due to the final Worlds being in Europe (with events across different countries for about a month), it makes it one of the most presented game in online media in 2015. There are 4 games in that list that are exclusives: Bloodborne (released in spring with less high profile competition and more time to gather coverage through the year), Halo 5 (the strongest Microsoft game franchise… after Minecraft), Rise of the Tomb Raider (an iconic, hall-of-famey franchise) and… Splatoon. Incredibly good media coverage for the Nintendo squid-shooter game, and again I believe the quality of the game resulted in its excellent media presence. In order to give some sense of the media coverage for games, I arbitrarily picked 5 games with fairly different patterns on the way they are covered. Right away, with this first comparison, we can see the difference in the scale of the coverage between 3 of the top 15 games in media coverage, and 2 indie games that were very well covered by media. Fallout 4 had a dream start at E3, getting record breaking coverage during the event. 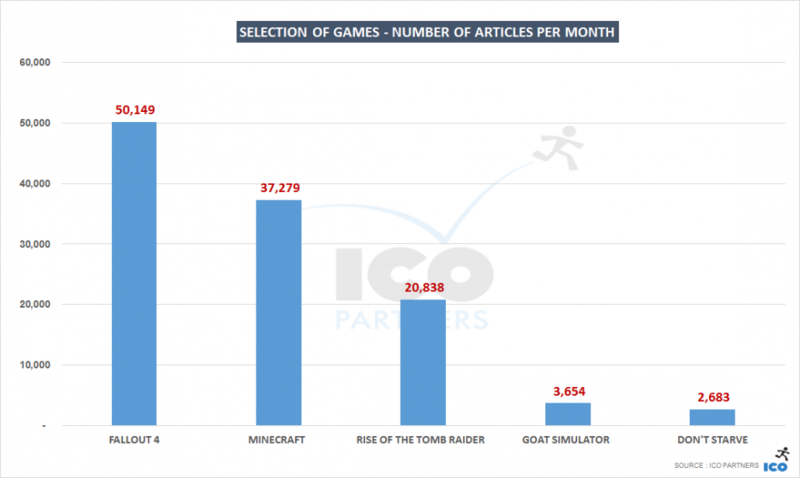 But the coverage it received on release, 16,000 articles in the month of November, is way, way more than the highest number of articles for a single game in a month. 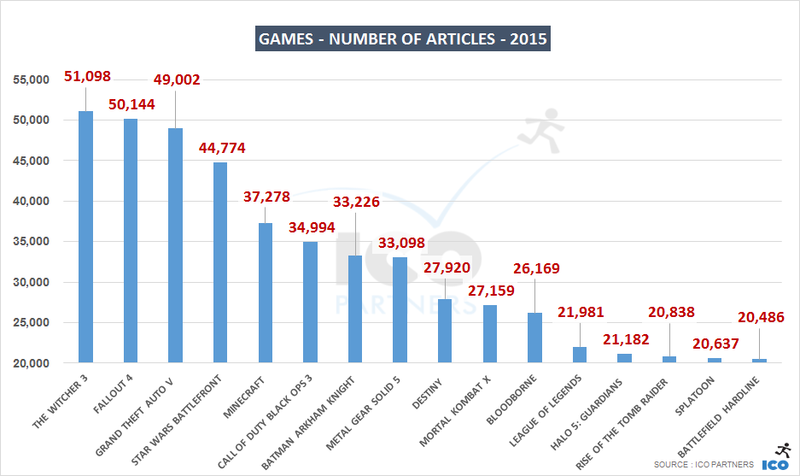 In 2014, the game with the most articles in a given month was Watch Dogs with close to 11,000 articles when it was released in May, with the close second GTA 5 with 9,600 articles in November, both of those performances being quite unique during the year. 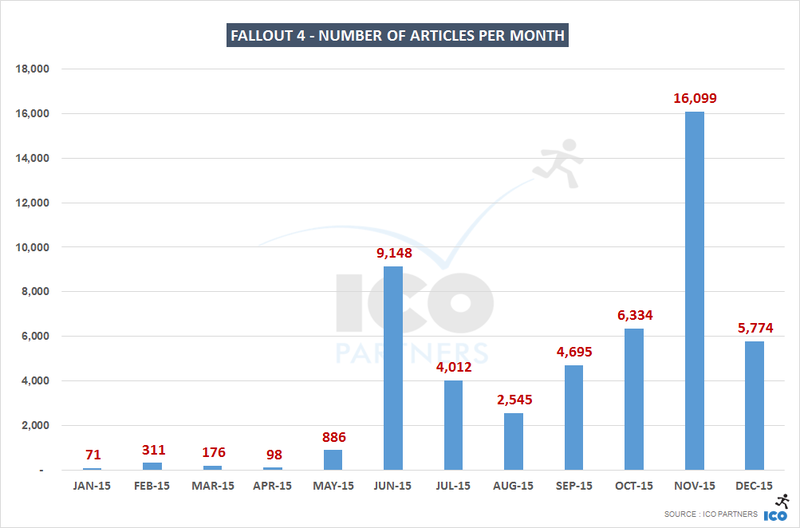 Here we have Fallout 4 with close to 50% more articles than the best of those performance in November. Truly a phenomenon. I was talking about the steadiness of the Minecraft media coverage and I really wanted to show it off. 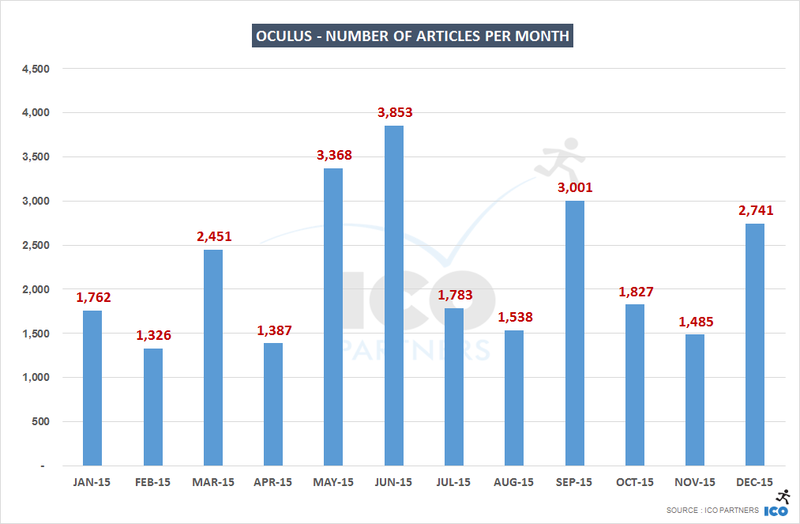 There were never less than 2,000 articles per month and there was a nice flow of new releases, as well as the announcements of the support with new devices like the Oculus Rift and Microsoft’s Hololens for instance. 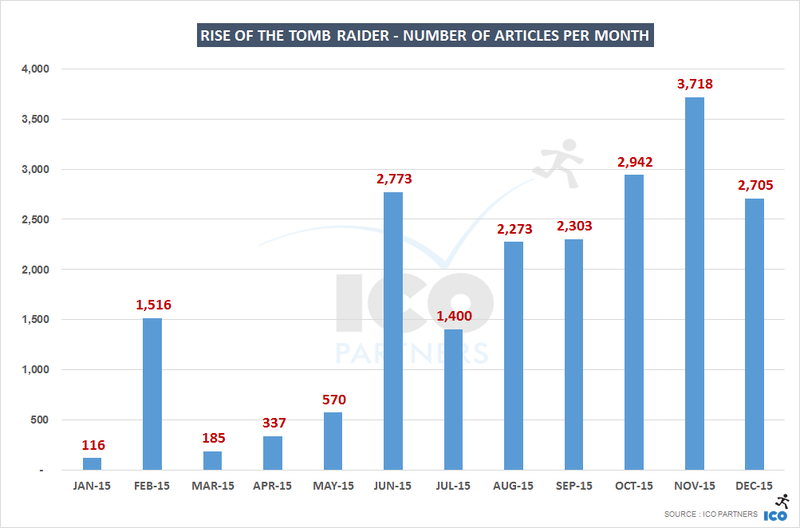 Rise of the Tomb Raider illustrates nicely the media cycle for a game as part of a big franchise. The game had been announced earlier in the previous year and before E3 had very few communications pushed by out by Square Enix and Crystal Dynamics. The February spike is coming from the one announcement in that period, about the fact the game would be released on the Xbox 360 as well. Then E3 kicked in, the machine was in motion, steadily ramping up till the launch of the game in November. 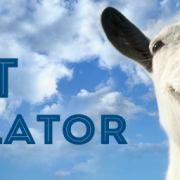 I make no secret of my undying love for Goat Simulator and its incredibly efficient communication style. The DayZ parody DLC (even though I no longer know if this is still a parody with Goat Sim) in May was the height of the media coverage for the game, followed by the media coverage of the PS3/PS4 version of the game in August. 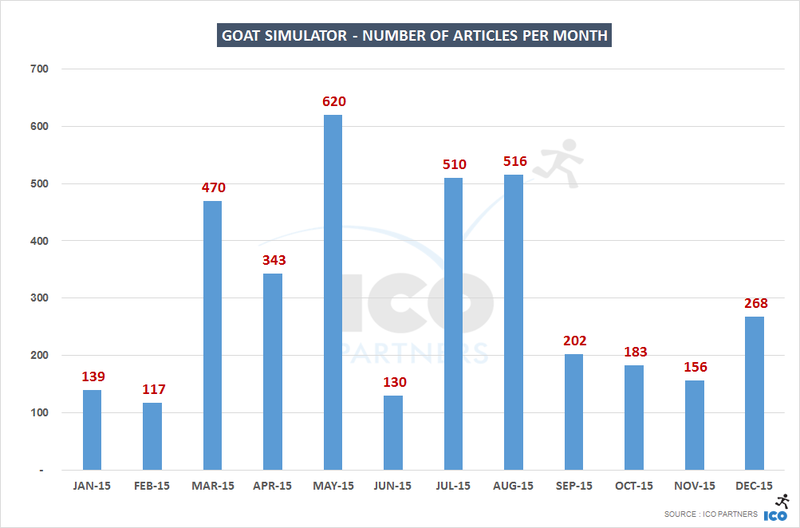 It is interesting to see how the larger overall coverage observed for the different platforms is echoed here for Goat Simulator where, while released earlier on Xbox 360 and Xbox One (in April), it didn’t receive as many mentions in the media. June saw two very large announcements with the release of Don’t Starve Together and Don’t Starve coming to Xbox One. In December, Don’t Starve Shipwrecked was released in Early Access on Steam and Don’t Starve Together was featured at the PlayStation Experience. May had the Wii U version of the game released. April, July, August and November have a remarkably close amount of coverage which was (mostly) coming in respective order from the release of Invisible Inc. (where many media mentioned Klei as “The makers of Don’t Starve”), the Don’t Starve Pocket edition release, the announcement of Don’t Starve Shipwrecked, and the announcement of the release date of Don’t Starve Shipwrecked on Early Access. 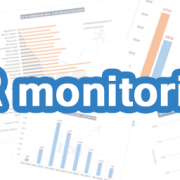 I won’t be looking at 2015 year month by month, but will rather mention a few things that happened that are worth highlighting before sharing slides with the monthly data for anyone who wants to dig into those in more detail. What’s is interesting to note is that looking at the whole year, there are big differences in the global coverage across the different platforms. 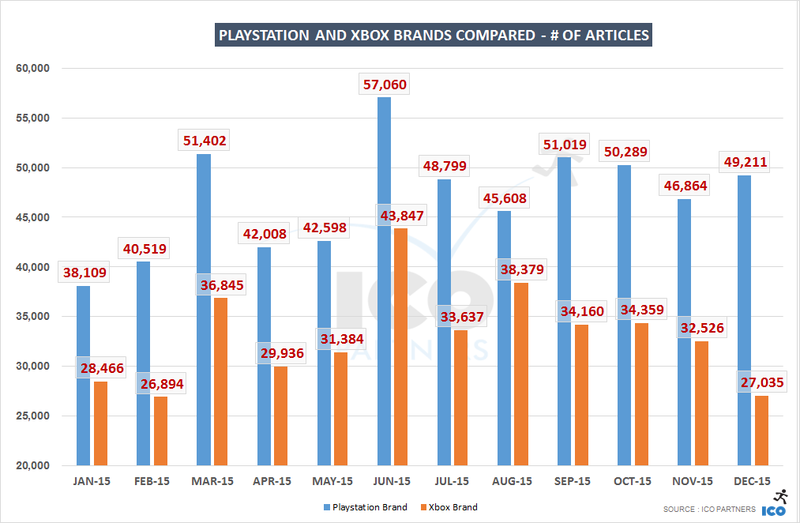 The PlayStation brand is having a very strong lead over Xbox, with 66% more articles taken over the whole period. 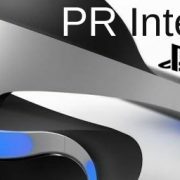 The brand not only has more usage (PlayStation 3, PlayStation 4, PlayStation Vita, PlayStation VR) but also leads across products in a similar generation, with PlayStation 4 for instance having 35% more mentions in the media than the Xbox One. Worth noting is that at the end of the year, mobile platforms are neck and neck in terms of coverage. The media samples we use are not heavily geared towards tech websites though, and it might be a totally different story if they were. We mostly have websites covering the game side of mobile (and sometimes also other news in that space), but regardless it is a very interesting outcome. The Nintendo brands are very much behind the other consoles. This is not necessarily very surprising as there is a strong correlation between the number of title releases each console see every year, and Nintendo consoles don’t have as many title launches. 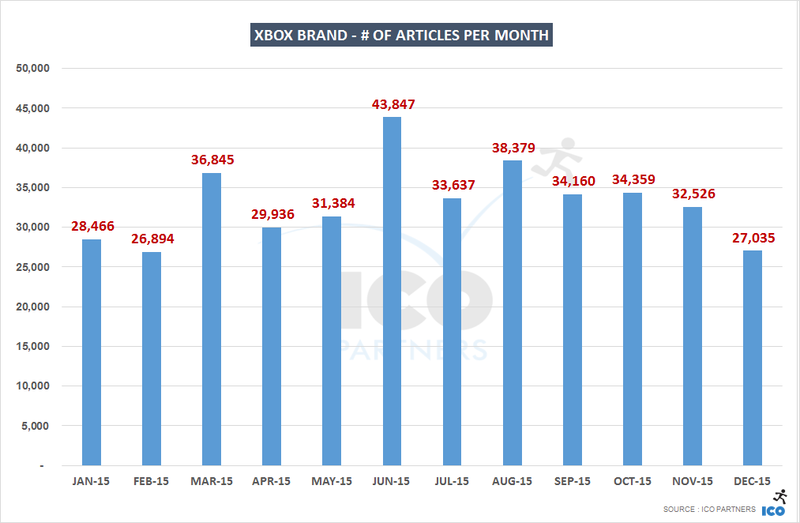 Looking at the monthly data, Nintendo is also very much behind the curve on the media coverage. Unsurprisingly, the biggest month for the media coverage was E3. We have seen in the past that it is the event in the year that has the biggest media impact. Interestingly, March is next for both platforms. That month sees a lot of game releases, and I suspect a harder push on the media side because of the fiscal year ending. 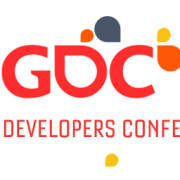 Events such as GDC and PAX East, while having some effect, are not covered enough to be the reason behind the March spike. September is the third biggest month for PlayStation; it sees the double effect of the first wave of the year-end releases and the Tokyo Game Show. 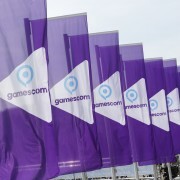 Of course, we can see the outcome of Microsoft being the only platform holder with a media conference at gamescom. It is the one month in the year where they clearly close the gap with Sony’s console, even if they don’t necessarily reach the same level. 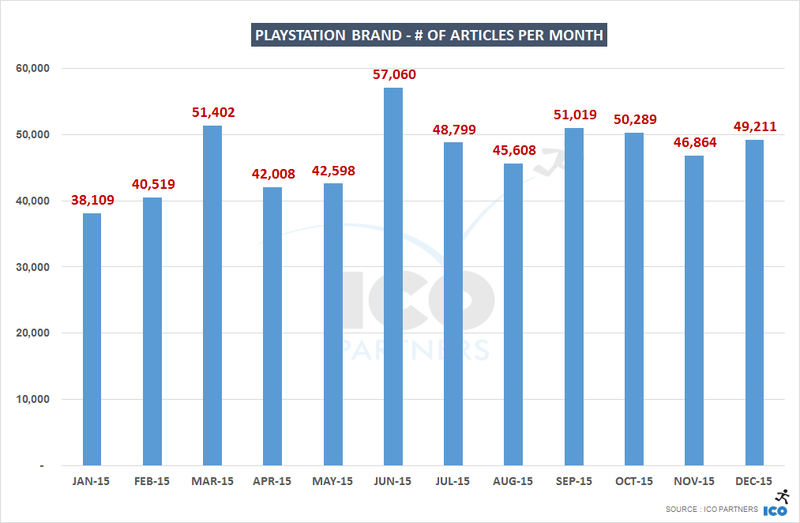 Finally, the steady performance of the PlayStation over the last quarter is quite remarkable. A steady release of AAA games helps, but the positive effect of the PlayStation Experience on the media coverage is tremendous and the one reason that December, an otherwise slow month for the other platforms, is one of the strongest for Son – right in time for Christmas. I think the competitors should take a page from Sony’s playbook on this. While I plan to delve further into VR in the media later this year, it is interesting to have a look at Oculus specifically. We are still far from the media coverage the large game platforms have, but this is still quite significant. A lot of the Oculus media coverage is lead by announcements and events. 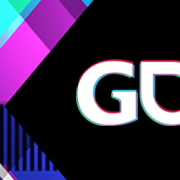 June 2015 had the Oculus media event the week before E3, as well as coverage from the VR company’s presence at E3. May 2015 saw the announcement of the release of the commercial version for 2016, and while expected, this had been a confirmation as there were still discussions of the device being a Christmas 2015 release. September 2015 was when the Oculus Connect 2 event happened, and even while this is a developer event and the device not being available yet, it is a strong platform for announcements such as Minecraft coming to the Oculus Rift. Interestingly, December 2015 saw a more incremental build-up from multiple beats during the month, even if the Games Awards announcement (Guitar Hero VR leading the charge) had a strong effect there too. Even though I was expecting to see a growth from last year (there were almost 30,000 articles in 2014, with at least 1,500 articles just on the Facebook acquisition of the company though), all in all, this is a decent point to build up from and we shall see how much VR will evolve in 2016 as the first time when you can actually buy the first commercial headset. Personally, I can’t wait to get our CV version that we will receive as Kickstarter backers.